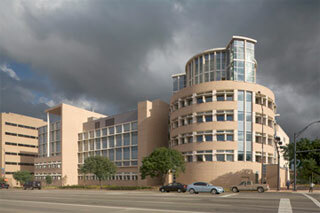 Profile: The two adjoining buildings were designed to keep Texas A&M University in the forefront of fundamental physics and astronomy. Special attention was directed toward creating an integrated environment for research and teaching. The principal teaching auditorium is a circular-shaped space with a 110-foot radius set between the two wings. The 468-seat auditorium can be physically divided and acoustically separated into three separate section, allowing for diverse usage. Services: DataCom Design Group provided all the low-voltage design for the building complex, including information technology; both wired and wireless. The DataCom Design Group's effort also included audiovisual, security, CATV, and OSP, as well as acoustics.